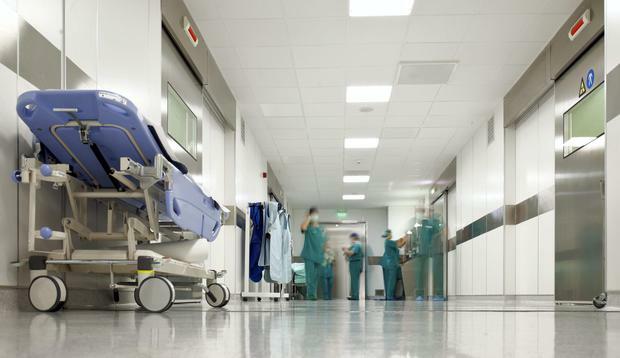 The number of patients on A&E trolleys last month was 31pc higher than in May 2014 - with Beaumont Hospital, Our Lady of Lourdes Hospital in Drogheda and University Hospital Limerick the worst hit. The analysis by the Irish Nurses and Midwives Organisation (INMO) said 7,713 patients were on trolleys with elderly people lined up "toe to toe" along narrow, small corridors. It came as Beaumont Hospital said claims that it was closing 33 surgical beds were misleading. "There is no reduction in the number of patient beds," a spokesman said. "While 140 beds spread across four surgical wards had historically been intended for surgical patients, in reality up to 35 of these beds are consistently occupied by medical patients, many of whom are frail and elderly." One of these four wards has now been allocated for these patients who need medical attention only, while the remaining three wards have been ring-fenced for surgical patients only.